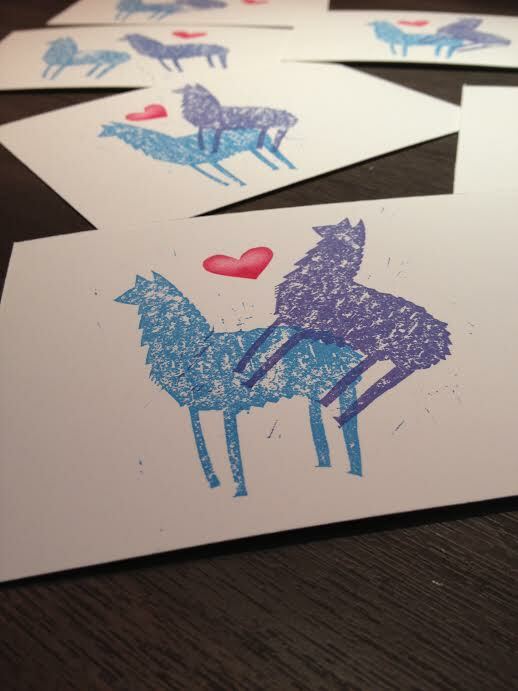 In the spirit of love this Valentine’s Day, I sent some of my friends a selection of llama print postcards. I call this series “llama courtship,” ha! I carved the stamp at Bona Fide Books’ monthly Print Club. 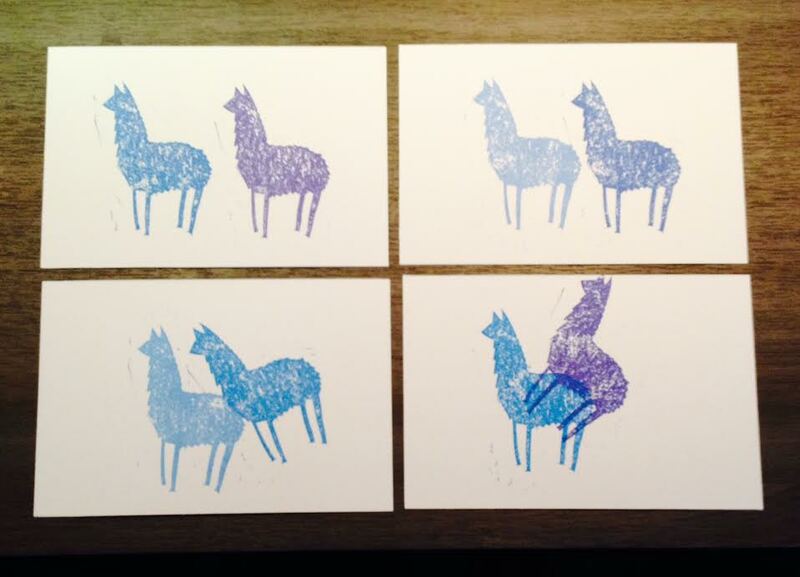 I am going to work on more of these prints with llama groupings as I love how these turned out.